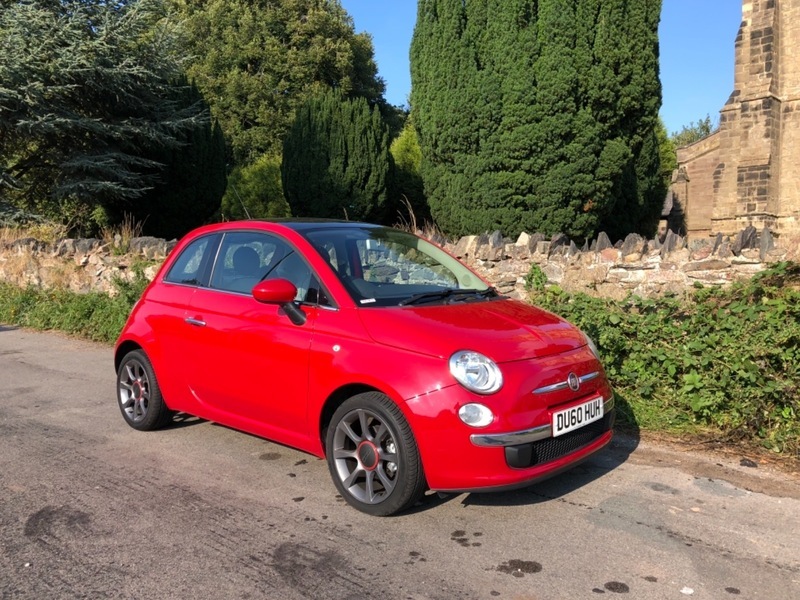 **NOTHING TO PAY UNTIL MARCH 2019**, THIS STUNNING FIAT 500 TWIN AIR LOUNGE HAS JUST ARRIVED INTO STOCK WITH US HERE AT GETACAR. CONDITION - It has been incredibly well looked after by its 2 previous owners from new. The vehicle has FULL COMPREHENSIVE SERVICE HISTORY benefitting from services at 3K, 8K, 15K, 21K, 30K, 39K, and has been Freshly Serviced at 44,600 miles. This vehicle comes with a Warranted Mileage from new of a Guaranteed 45,000 miles. SOURCE This vehicle has been acquired from one of our Regular Customers. PRESENTATION - It looks Stunning presented in Metallic Red. It boasts a fantastic condition Black Cloth interior that hasn't been smoked inside or abused in any way SPECIFICATION - It has an excellent specification including: PANORAMIC ROOF, AIR CON, CD PLAYER, RADIO, ALLOYS, Plus Much, Much, More. GETACAR- We offer fantastic part exchange valuations, industry leading extended warranties, and all of our vehicles are HPI clear. All our cars are fully prepared to a high standard and will be fully valeted prior to sale. Please call to discuss this fantastic car in more detail. Family run business, open 6 Days Appointments only on a Sunday.